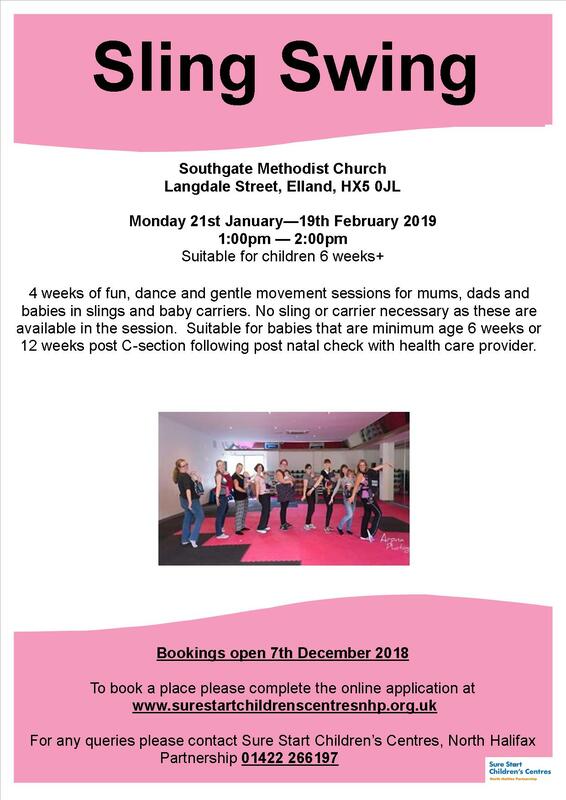 Sure Start Children’s Centres, North Halifax Partnership will be hosting a Sling Swing Session at Southgate Methodist Church, Langdale Street, Elland HX5 0JL starting on Monday 21 January, 1:00am-2:00pm. In the 4 weekly sessions suitable for children 6 weeks and over, mums, dads and babies will have dance and gentle movement with the babies in slings and baby carriers. This entry was posted in Elland, Feb, Jan, Sure Start, Young People.